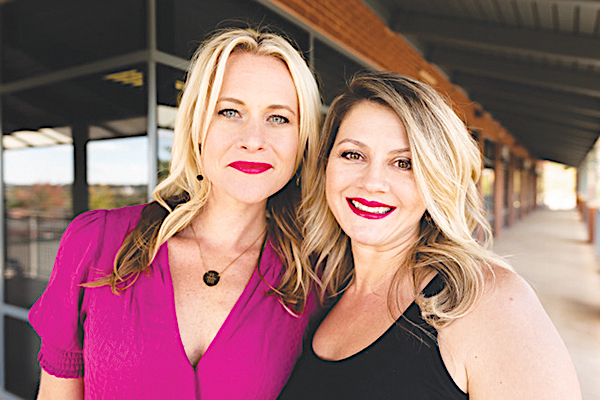 Arrow Birth founders Campbell Lussier, left, and Mari Stutzman Smith. Two working mothers with seven children between them have created an online childbirth education portal aimed that will offer families in the childbearing years access to experts in the field. Ashburn-based Arrow Birth Inc. was set to launch its arrowbirth.com website on April 5 and to unveil its full birthing educational product suite on May 12. Founded by Tara Campbell Lussier of Purcellville and Mari Stutzman Smith of Ashburn, the company will offer more than 35 documentary-style birth professional interviews with custom expert consulting for each client’s needs. “With Arrow Birth, families worldwide will now have convenient premium solutions for their childbirth education and consulting needs, furthering their experiences and improving their quality of life during this crucial time of transition,” Stutzman Smith stated. With every purchase, the company plans to make a contribution to help mothers and babies abroad through the Midwifes for Haiti nonprofit.